Srimati Sita Devi is the daughter of the Earth goddess, Bhumi Devi, and central figure of the Ramayana. InMaharishi Valmiki's own words, Ramayana is known as the noble story of Sita "Sita-ayah Charitam Mahat". Her glories are sun by the poet-saint Thyagaraja in his "Sri Janakatayane"
"It is no use enjoying pleasure after pleasure and possessing immense wealth, nor is it any use becoming a great ascetic besmearing the body with ashes. 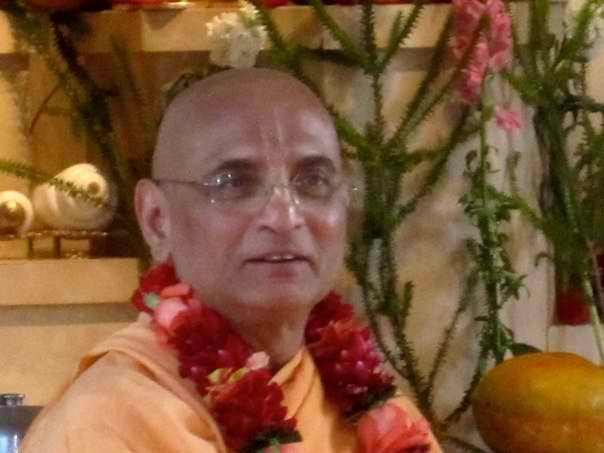 So by the grace of Krsna, you have first-class intelligence, those who have taken to Krsna consciousness. Now try to continueit. Don't give it up. Don't be foolish, mudha. Continue. Then you will be happy, and all problems of life will be solved. Ganga-saptami or Jahnu-saptami appears in the month of Vaisakha (Vaisnava month of Madhusudana-April/May) on the 7th day of Sukla-paksa, or the waxing fortnight of the full moon. 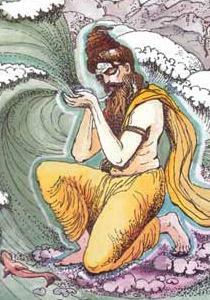 After the Ganga descended onto the Himalayas, the river entered the sacrificial arena of Jahnu Rsi and disturbed his mediation.